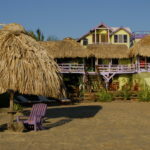 Casa Beya = which simply means 'Beach House' in Spanish & Garifuna, is a vibrant, colorful partially thatched private retreat that has a unique, open-air, multi-level outdoor living space design! Inside= Is an absolute work of Art!! 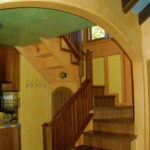 ; with it's hand-carved stairs, unique arches, bright colors, and many special touches throughout + Wifi! 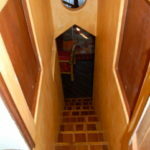 MASTER= upstairs, 1 queen, private balcony overlooking ocean, private bathroom with shower. DOWNSTAIRS RM=1 queen, private bathroom with bathtub. 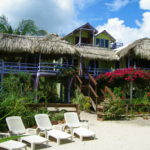 Casa Beya will provide you with a fantastic place to stay while you visit a remarkable part of Belize! ....for your HONEYMOON! 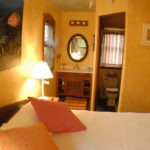 (BE IT YOUR FIRST OR YOUR SECOND) or simply a unforgettable Family get-away!! 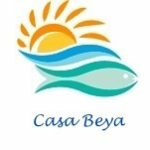 Ready to BOOK Casa Beya???? 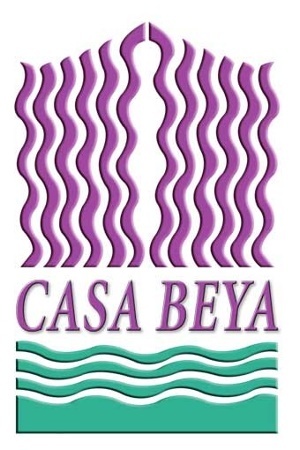 **********M- Thanks you so very much for taking the time to submit such a detailed, glowing review about Casa Beya! It sounds like you had a wonderful stay. Was it your group that saw the family of Manatees right off our dock? I am so jealous! 🙂 Hope you can come stay with us again & thanks again for the enthusiastic review! Bring lots and lots and lots of mosquito repellent!!! We went in July, so it rained the entire time we were there. Kind of a bummer. We were told the rainy season last about 6 months, so I would definitely avoid booking a vacation during that time. There were an insane amount of bugs, both inside and outside the house. There is a gear room, under the house, that has several floaties, wetsuits, snorkeling gear, bikes, kayaks and paddle boards available. We thought that was pretty cool. February 1, 2018: Jessica, thanks for your enthusiastic & honest review. great tips! great suggestions! You mentioned a few places I have never visited, so thanks for that! 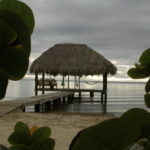 It IS challenging taking in all of the amazing things Belize has to offer from the house. I agree you need a car and recommend hitting many of the sights on your way to the house from the airport & on the way back to the airport!! So sorry to hear your vacation was so soggy; July can be very unpredictable. (Some Julys can be bright & sunny!) Hope you can visit again at another time of year. Thanks again for your very detailed review. We were fortunate to have an excellent paddleboarder along with us and she taught the rest of us techniques of staying up! There were enough paddle boards for the six of us. Also kayaks we used regularly. Martin and Diana were excellent caretakers. They helped us navigate the peninsula and beyond. They were always on hand and made our stay safe and comfortable. First off this is not really a private house, granted the public doesn't have access, but there is a caretaker that lives in the house (separate quarters, in basement) and there were quite a few vendors that walked the beach. That being said, this was the perfect house for our crew of six. We traveled around, went cave tubing, snorkeling, visited Mayan ruins and had several days to do nothing but sit on the dock and enjoy the ocean breeze. Pinch me!!! This vacation was perfect on every level!! If you have dreamt of crystal clear calm waters, views for days, family spot.... 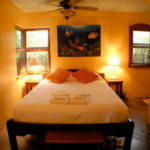 I HIGHLY recommend Casa Beya! Myself- Megan (32), my husband- CURTIS (36), our daughter- Addison (8), and Son- William.... who celebrated his 3rd birthday while in Belize.... had the most amazing time EVER!! Martin and Diana- We loved them!! They helped beyond belief!! Told us local flavor.... local villages to visit.... recommended the most amazing tour at IXCACOA - chocolate WILL save the rainforest!! Recommended an amazing local spice farm. I recommend renting an SUV.... main roads are great in Belize and can get you to amazing remote locations.... waterfalls etc! The house had everything this momma needed to live and care for my family for 7 days. We loved SUP boarding! My 8 year old and I swam with sharks, sea turtles, & sting ray! My boyfriend and I went to Casa Beya for the second time from late February to early March of this year and this time brought our 10 month old son. From the moment we were greeted of the plane by Martin and Diana they were incredibly hospitable and tended to any request or needs we had throughout the duration of our stay, including spending time with our son. 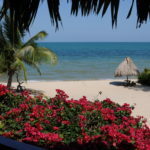 Whether we needed to be driven quickly to the local grocery store "Ivy's" or into Placencia for shopping, touring, fishing, dinners/lunches etc, Martin and Diana were always available. If you want some great Pizza just walk across the treat to "The Jaguar" where they also have bowling for something fun to do as a family! All of the restaurants nearby have delicious food and relatively good prices. 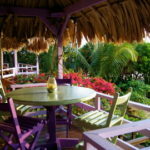 We frequented Maya Beach Bistro for their world famous "Cinnibuns" and to the Green Parrot or Mangos for TO DIE FOR conch and shrimp fritters! Yum!!! 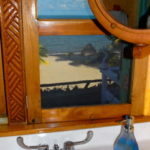 Our bedroom and ensuite were immaculate and always replenished with the necessities we would expect from any 5 star all-inclusive resort we have previously been to in our travels elsewhere. With a young son, they provided a comfortable play pen with fitted sheets. 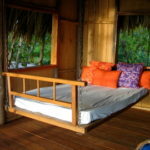 Each room also had its own personal air conditioner, which personally I appreciated on the hot and humid Belizean days/nights. The kitchen was fully stocked with anything a family of three or would need, even with an infant. The Internet was consistent and the flat screen television had a plethora of channels in a variety of different channels. Now I need to talk about the view. So many friends upon our return couldn't believe the pictures I was taking. They looked like post cards. 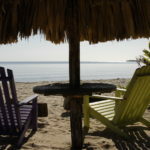 There were a few days with overcast or periods of rain but the majority of our time was spent in the sun and enjoying the walk out to the palapa from the freshly raked beach that Martin proudly maintains at sunrise and the outdoor shower really makes you appreciate the beauty that you look out to. Stayed for 10 days. Diana & Martin were amazing, always working and readily available whenever you may need something. My husband and I went with his parents, brother & gf , their little 9mth old son, and our 21 mth old. Such a great trip. The ocean view was spectacular. Restaurants within walking distance, via beach or road. Martin kept the beach in tip top shape every day. The water was gorgeous and warm. Spent everyday swimming. Our son loved running up and down the beach. Great for kids!! We did a snorkeling trip to Silks Caye, and the men did a deep sea fishing trip. There is a bowling alley and pizza right across the road. Inside was so colorful and warm makes you feel like your home. Midge was a wonderful contact for us, especially when we realized how early our flight would arrive, she was ready to let us secure our bags etc until the house was ready. Martin and Diana were considerate and thoughtful care takers, checking in on us yet not being overbearing. The house. It is perfect. That is all I can say. The kitchen is one of the best stocked rental kitchen's I have ever seen The beach, the dock, the water toys- all wonderful. Walking distance to Maya Beach Bistro for the peninsula's best food. Well this has been our 5th time to Casa Beya! This time we brought our 2 sons, their wives and children. Ages 1 1/2 and 10 months. From the time we arrived Diana and Martin were wonderful. So good with Babies. The house was perfect! 2 travel beds waiting for the wee ones to sleep in and linens and blankets. We stayed for 2 weeks. In that time we snorkeled at Silke Caye. Amazing! We also went deep sea fishing and had the boat pick us up right from the pier. 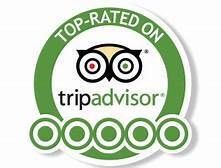 Beautiful views, friendly caretakers, safe and reasonably priced. Wonderful rental and place to celebrate my wife's 50th birthday! Private dock and big shady porches to watch the sunrise. We will be back. 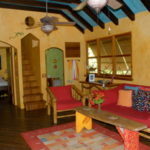 -----Stayed: March 2015: Steve N, Co.
My family (2 adults and 2 children) stayed at Casa Beya in August 2015. EVERYTHING YOU SEE AND READ ABOUT THIS LOCATION IS TRUE AND IS EXACTLY WHAT YOU EXPECT! It all starts with the communications with the property owner being timely and extremely thorough - I knew so much before I arrived, it really gives you a level of comfort and local knowledge. The house is just perfect - just like home plus the exceptional views! Martin and Diana, our caretakers, were genuine and always available whenever we needed them. Martin kept the beachfront raked (and might I add is quite a good wood worker!) and Diana was so helpful with the housekeeping. The only disappointment we had is that the 8 days were over and we had to return home. Thank you for everything - love the home, love the location, love my memories with my family! We had a wonderful time at Maya Beach. 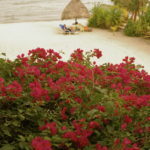 The rental was very well located, with a grocery store a quick walk away, and the Maya Beach Hotel down the beach. 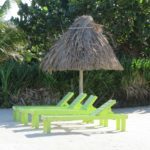 Best Belizean Beach stay ever! Fantastic home - tree house like with thatch roof. Lovely sunrises and swimming! -----Stayed: March 2014: Novy family, Co.
We're sitting here on the last day of a wonderful family vacation...and do not want to leave. Our home base the last 8 days has been Casa Beya and we could not have picked a more perfect location. 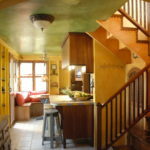 The house is comfortable, spacious and beautiful. As with most vacation rentals some of the items in the home could stand to be replaced/upgraded - toaster, pans, futon - but beyond those minor details, this house has served us well. There are many gathering places, as well as many places to steal some privacy. The beach is lovely, the water in front is beautiful (although it's been windy and choppy all week), and the whole house is screened allowing for refreshing breezes. The caretakers, Martin and Diana, took care of us perfectly all week - very, very nice people. Heaven on earth - no better vacation house!! 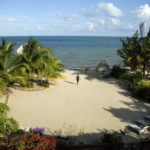 I recently traveled to Belize with friends and we stayed at Casa Beya - it was wonderful!!! 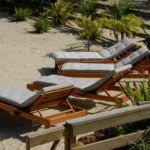 The house is beautiful, beach front and situated on what truly feels like your own private piece of paradise. Mike was wonderful to us throughout our stay, taking care of everything and arranging some extraordinary excursions. As perfect as the pictures! Serenity, practically our own private beach area! This is just what we needed... A cozy beach house close to everything we wanted! Casa Beya was perfect for adults and kids, lots of things to do both at the house and surrounding area, water was refreshing and shared the local neighbors with us (manatees, crabs, sting rays, etc), nearby Bistro restaurant was great food when we wanted to venture out, and town was exciting to walk through and feel more local! We (5 adults: 2 couples, 1 single) stayed for 2 weeks in this beautiful house. 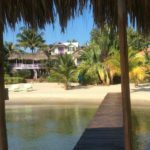 It had everything we needed and the location was great: right on the beach, only a few minutes´ walk to a very good restaurant (Bistro at Maya Beach Hotel) or the next grocery store and a short drive to Placencia. 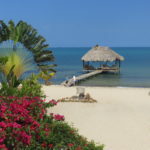 Awesome beach home in Belize!!! 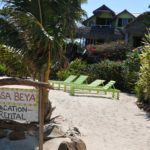 Casa Beya was an incredible trip for my family! We traveled with two grandparents, myself and my husband, and our two sons. We also had my sister join us for a week with her fiance. The house was comfortable with plenty of different living spaces when you take into consideration all of the different outside areas. We enjoyed sleeping on the hanging bed, lying on the hammocks, and playing in the gorgeous water! During our time at Casa Beya we were able to experience the water in many different ways! Playing in waves to floating on "smooth as glass" water, it was always a pleasant temperature! Mike was great and very comfortable to be around! 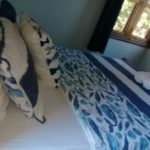 This was our first time ever staying in a place with a live in house keeper and it was wonderful! He helps you set up plans and works around your schedule to find out how he can be most helpful! 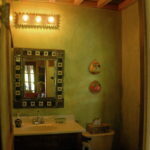 We really enjoyed our stay at Casa Beya. 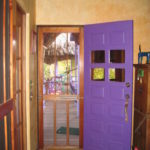 The home has a lot of charm and so many wonderful patios, porches, other lounging areas. We loved spending time on the dock in the hammocks, watching all the sea life swim underneath. 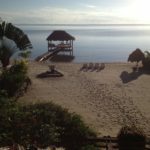 Loved the amenities that come with the house, the kayak for paddling out the the cayes, snorkel masks that kept my nephews entertained, board games and internet access! 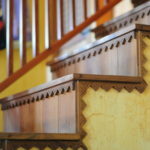 We had a fantastic time staying at Casa Beya. We planned our vacation around the dates the house was available since the photos looked nice and we were glad we did. It was great to hear the sound of the surf right outside and there was always a nice breeze that we never needed to use air conditioning. The hanging bed outside on the deck was perfect for relaxing and an afternoon nap! 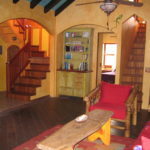 Casa Beya is for relaxation and fun!! It probably could get better than this, but that would be quite rare. No false advertising here! Everything was thoroughly detailed before we arrived and even better than we expected when we arrived. Mike the caretaker was wonderful, the scenery beautiful, and the location great. We can walk to many activities, stores and restaurants and found the neighborhood to be safe & peaceful. They call this the off season but that enhanced our time here (fewer crowds, a little rain shower now and then kept things cooler, and the land was even more laid back). 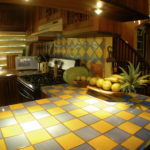 A wonderful, quirky house with a good feel to it - and right by the ocean with it's own beach and dock.The house has all the amenities needed - including internet and is comfortable and well-appointed. 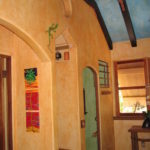 We loved Casa Beya. 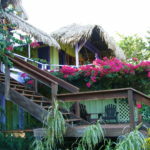 The house is adorable, cozy but comfortable for four adults and three children, if you don't mind The setting is gorgeous, and lounging in hammocks under the palapa at the end of the dock was heavenly. The water is ideal for children (youngsters in our group ranged from 6 - 9 years old) in that it is warm and shallow enough for kids to stand well past the dock. An occasional wind drummed up some chop, which was fun for bouncing (though not enough of a swell for body surfing when we were there). 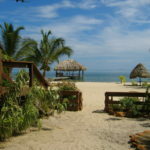 The Maya Beach Hotel is less than a five minute walk from Casa Beya and hands down serves the best food in Placencia. We did everything from early morning sea-kayaking, Hobi Cat sailing and snorkeling, to hiking and river tubing at nearby Jaguar Paw. 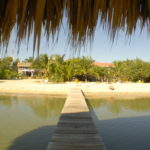 Casa Beya and Placencia offered the perfect balance of relaxation and adventure. The only downside of the whole experience are the sandflies--but if you're prone to bites you can load up on repellent and be okay. This was by far the best vacation we've ever had as a family. We had a wonderful guide on our excursion up the Monkey River, who helped us spot (several times) a Manatee cow and her calf in the open sea. 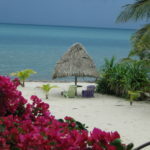 The Belizean people were warm and helpful. For dinner one night, Mike, Casabeya's caretaker, prepared the most delicious chicken dinner. Perfect combination of sea, jungle & adventure! Casa Beya is an exquisitely designed home that encourages indoor/outdoor living with such thoughtful touches as a foot sprinkler at the bottom of the stairs to keep sand out of the house, a dock with chairs and hammocks extending out into the sea, an outdoor shower (which we used all the time), and a lovely balcony with comfortable chairs and tables for reading, painting, or just enjoying the almost surreally beautiful vista of the ocean, beach, palm trees, and flower-filled garden. We had a lovely vacation. Not everything in the house was working properly. There was heavy traffic and noise on the road behind the house. Ants everywhere. The beach was cleaned the first day we arrived, it was not tended to again through the week. Do you remember the kid down the road from you when you grew up that had the coolest clubhouse? We'll I think he may have grown up and moved to Maya Beach to build this place. Casa Beya is absolutely a wonderful house. The details -from the really cool decorations inside everywhere you turn to the 3 level thatch covered porches covering the entire back of the house are fantastic. I loved the swinging outdoor bed! While we were there they installed wifi and cable for the TV which my son was thrilled about. Mike, the caretaker, was always around if you needed something or had a question. At one point our son was not feeling well and Mike called the Dr. in town and he came out about an hour later. The charge for the house call was $35.00! As far as groceries go, you can walk to the little convenient store which has more "American snacks" then the larger grocery in town. We rented a car from Stann Creek Rentals for a couple of days and ended up keeping it longer just to drive around the country. Candy and Dave at the rental place were very nice and very easy going! They were also the cheapest! Our son loved to go "visit" Candy because they rent cars from their house and have probably a dozen cats and dogs and birds who say hilarious things like good morning Belize! As far as food goes, we ate breakfast and lunch at the house which is fully stocked with every type of container or pan you need! We usually walked a few yards to the Maya Beach Hotel and ate there for dinner and late afternoon snacks. 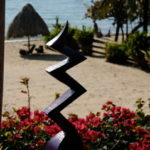 They have the best food I think in the Placencia area. Don't bother driving into town just eat there. Overall we loved Casa Beya. It was really hot the week were there and only the bedrooms have a/C, so the living area where the TV is and the kitchen can get pretty warm. But you do have wonderful wooden windows that open all over the house that brings in breezes, it was just warm breezes that week! It would be the icing on the cake if Midge would A/C the living room area! 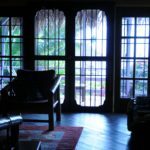 Even the weather wasn't perfect, Casa Beya was a wonderful place…. Sweet little flower of a place; lovely, laid-back and oh-so-welcoming! bothered by bugs at night and never did it get too hot. 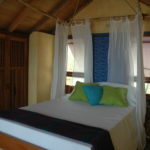 The bedroom on the third floor was magical with its own porch overlooking the sea. The downstairs bedroom was also nice, but the window faced the road (which is behind the house) so you do hear the cars/trucks driving by in the morning .